A majority of customers don’t accidentally land on a company’s website. A recent article highlights why it is important to implement search engine optimization into your marketing strategy when creating your site. There are search engine optimization services out there that help develop the key words necessary to connect you and potential customers looking for the services your business provides. During the web design phase, search engine optimization is one feature you don’t want to overlook. Every business should take full advantage of Internet marketing tools to connect with new customers, this is one of them. Getting those potential buyers on your page not only increases communication but profits, too. The most important thing to keep in mind is keywords. Start by looking at your service offerings and what common terminology customers are most likely using to describe them. Once you know what those common words are, make sure they appear regularly throughout your website. 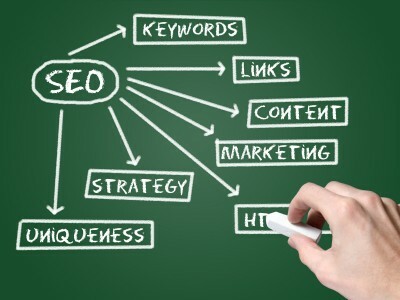 Keep these keywords at the forefront of the search engine optimization process when developing your site. They are literally the key to getting more traffic flowing to your page as soon as it is launched. Search engine optimization services can also keep you ahead of your competitors by appealing to the customer’s five senses. By creating several profiles you can establish your business on the market. You should make each page exciting and interactive in order to compete with the other top guy in your industry. These services can also help you connect with your old customers and track search engine optimization results. You know the old saying, “the customer is always right.” Well, they are. In this case, call on those established customers to review products and services for you. New customers will want reviews and old customers can provide that. From day one, you should be able to track the Internet traffic you’re getting from any paid search engine optimization services. These companies usually offer some of the best tracking tools to see what your business has gained since its implementation. Take advantage of any tools available to you. If you’re looking for real search engine optimization services, let us help you develop and launch a successful Internet marketing plan. Our services can be a huge benefit to you and your business. Susan J. Campbell Copywriting Solutions can not only help you figure out what those keywords should be, but help you design a website that puts them to good use and drives Internet traffic. This entry was posted in SEO and tagged internet marketing, internet marketing plan, internet marketing tools, keywords, marketing strategy, search engine optimaization services, search engine optimization, SEO, SEO tracking tools, SEO writing, Susan J. Campbell Copywriting Solutions, web design, website, website traffic. Bookmark the permalink.